Sundal is a healthy snack that is essentially made with pulses. 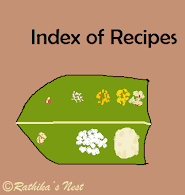 Traditionally, sundal is prepared on auspicious days or during festivals. 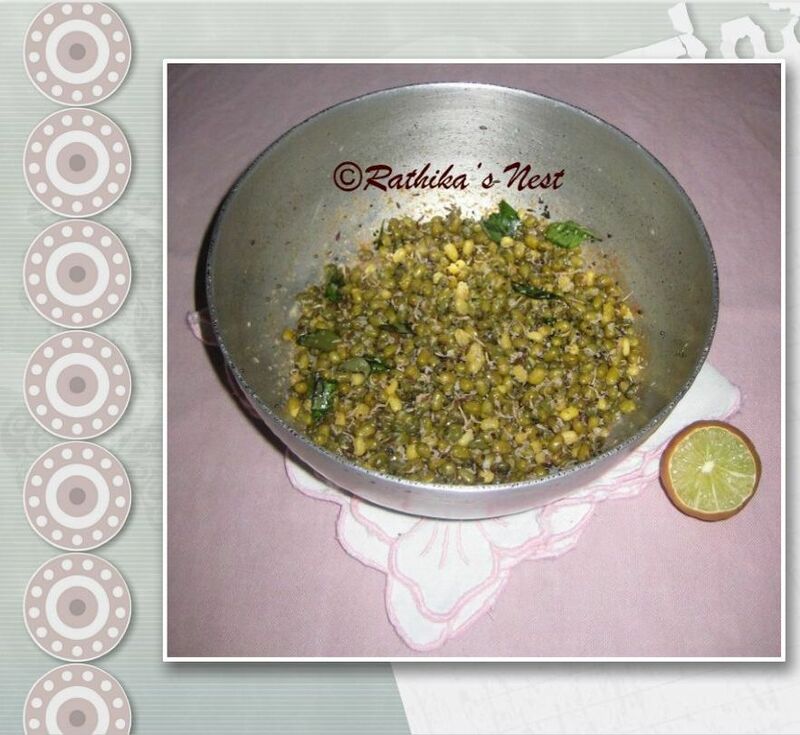 Over time, I have shared many conventional sundal recipes on Rathika’s Nest. However, you can always spice it up a bit and serve it as a tea-time snack. Here’s a sundal recipe with a twist. Method: You may sprout the green gram at home or buy the sprouted green gram readily available in the shops. Click here to find out how to sprout green gram at home. Wash and drain the green gram. Heat oil in a kadai, add mustard seeds and when they start to sputter, add the sprouted green gram, green chilli, salt, ¼ teacup (50 ml) of water and asafoetida. Cover and cook on low flame till the gram is cooked and water is fully absorbed. Now add chat masala and mix well. Add coconut gratings, sauté for 2 minutes and switch off the fire. Garnish with curry leaves. Allow it to cool and then add lemon juice and mix well. Serve with a cup of tea or coffee.